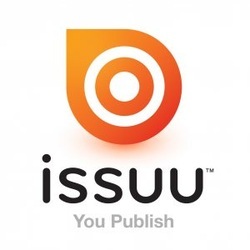 Issuu is the leading digital publishing platform delivering exceptional reading experiences of magazines, catalogs, and newspapers. Millions of people have uploaded their best publications to create beautiful digital editions. The title of this document was "English Final Project", so I'm assuming it was an class project for "English" class created by a girl in Manilla. First, you need an Issuu account to host your publications under. Once you're logged in, click the blue 'Upload document' button. Click 'Upload' and let the file upload completely. We will now automatically convert your uploaded file to a nice Issuu publication. Once the conversion has completed you can find your uploads in My Library. What kind of documents can I upload?You can upload most common document files, including PDF, DOC, PPT, RTF, WPD, ODT and more. Documents must be less than 500 pages and 100 mb. The conversion service offered for both free and Pro accounts is currently the same. If you encounter upload problems please refer to this guide. I have a problem with conversionNormally conversion is a smooth process. Should you encounter conversion problems please refer to our conversion troubleshooting guide. Maximum file size: 500 page / 100 mb (hint: learn how to reduce file size). Supported formats: PDF, Word (DOC), Powerpoint (PPT), Open Office (ODS, ODP), WordPerfect (WPD), Rich Text Format (RTF), Star Office (SXI, SXW). Supported PDF versions: 1.0-1.5, both extremes included. We will also convert versions above v 1.5 and usually they look OK, but we can't guarantee it.